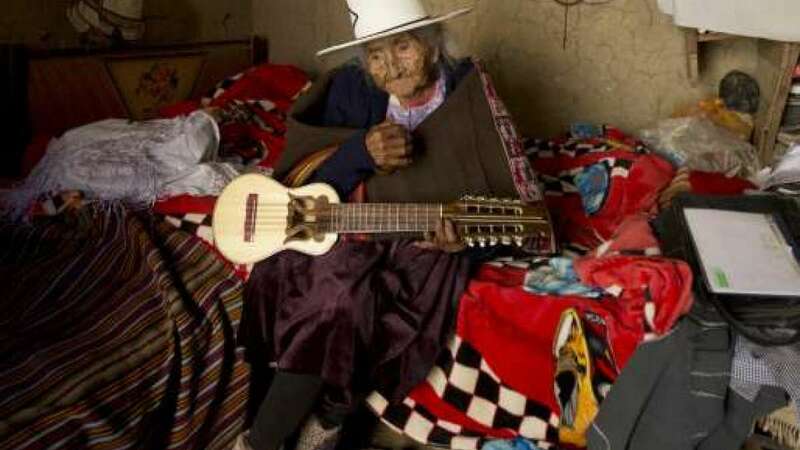 Nanu Shaove used to strums her traditional charango guitar and sung indigenous Quechua songs with ease. New Delhi : Woman aged 128, who have been officially believed by Russia to be the oldest person died in the Caucasus Mountains. She was born before the last Tsar Nicholas II took the throne, documents claimed. Nanu Shaova, was registered two years ago in the Russia Book of Records as the oldest person in the country and is believed to be the oldest person in the world, too. Nanu was 27-year-old at the time of the Bolshevik Revolution and 101 when the USSR collapsed. She has put her secret of longevity down to hard work and sour milk. She credited local drink Ayran, a mixture of yoghurt and chilled or iced water, which she preferred to tea. The world's oldest women who is no more with us now has left behind her eight children, 19 grandchildren, 33 great-grandchildren and seven great-great-grandchildren. She was married twice in her life. She dug trenches in her village in World War Two and during her long life worked on her local collective farm in the Zayukovo village of Kabardino-Balkaria republic. In 2018, she was named as the oldest voter in Russia when she supported Vladimir Putin in the Kremlin presidential election. Nanu was 62-year-old, a pensioner when Putin was born, according to her chronology. Her son Hussein said: 'She did not have any kind of special diet. She only said that it is important to work a lot. Nanu took her last breathe on Monday and as a tribute from officials in her region, they said 'Nanu Shaova, a centenarian from the village of Zayukovo, in Kabardino-Balkaria's Baksan district, and Russia's oldest woman, according to the Russia Book of Records, has died at the age of 128. 'She would have turned 129 in May.